(Updated on 26.02.19). Download Yearly, Half Yearly, Monthly Student Assessment Test (SAT) Date Sheet For Class 9th, 10th, 11th & 12th for the year 2018-19. Check here Schedule of Assessment Tests, Half Yearly Tests, Annual Exam Date Sheet of 9th, 10th, 11th & 12th class for 2018-19 session for Haryana Govt. Schools. 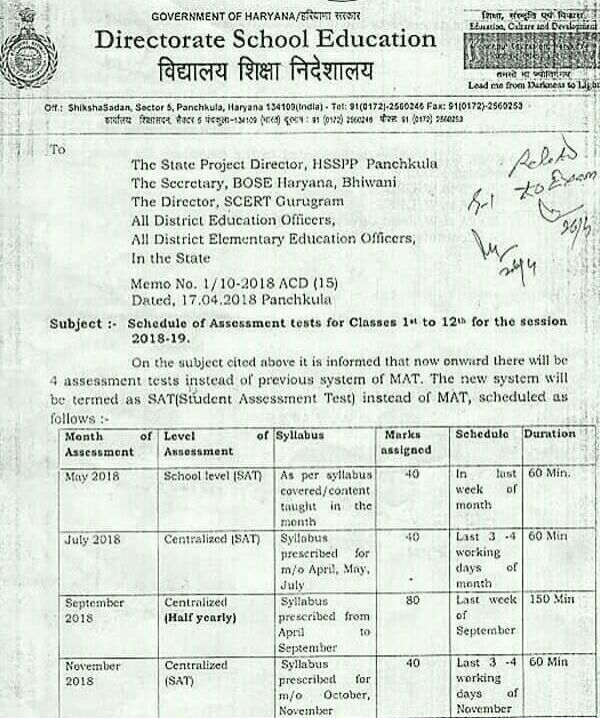 Assessment Tests will be held in May, July, September & November, 2018 along with Annual Exam March, 2019. 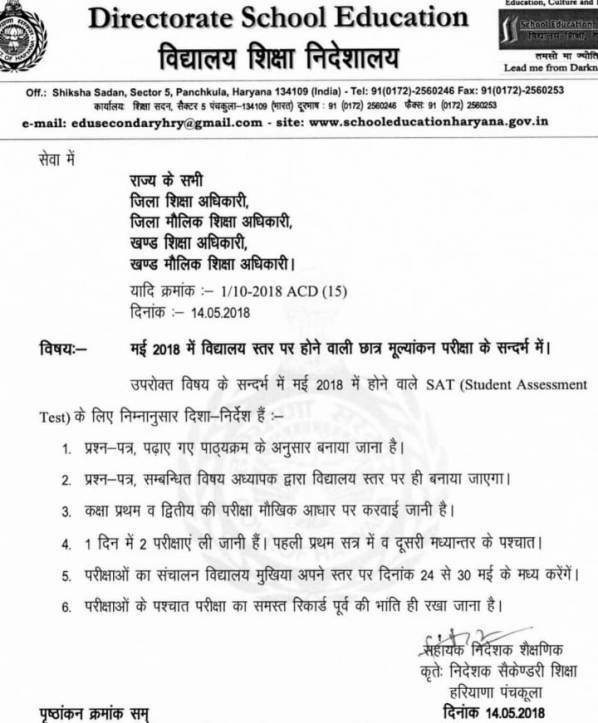 DSE Haryana has uploaded latest date sheet or schedule of half yearly test Sept. 2018 for class 9th, 10th, 11th & 12th. Half Yearly Test will be held in the last week of September. The detailed instructions regarding preparation of Monthly Tests, Half Yearly Tests & Annual Exams would be issued by the Department in due course of time. All the Heads of the schools (Govt. Senior Secondary School & Govt. High School) may be intimated accordingly.